If you can relate to anything I’m saying above, please know: You’re not crazy. You’re not doing it wrong. You’re not alone. Women are being taught that they have to fit into the mold of an ‘ideal woman’ or take a ‘magic pill’ or do a ‘10-step process’ in order to be accepted and loved. It’s just not true. The quick-fixes and scripted routines are no longer resonant for a woman like you who cannot be contained or defined. I see you and I know from years of personal and professional experience that there is another way. 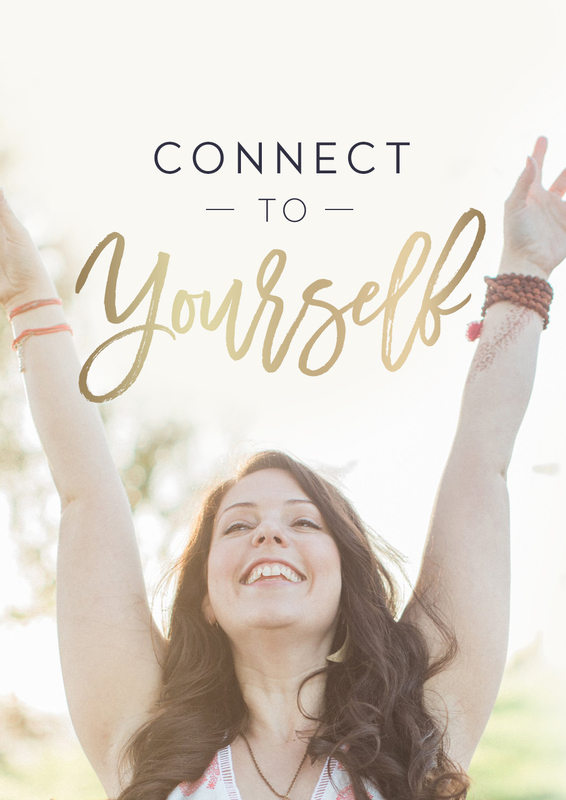 I know that it’s possible – and easier than you maybe think it is – to live your life from a place of feeling nourished, comfortable in your own skin, and authentically you. And that’s exactly why I created my Yoga’licious offerings: unique and deeply supported programs designed to reconnect you to the missing link that will bring you home to yourself. Begin to dance to the beat of your own drum; expansive, free, alive, and in radical acceptance of ALL parts of you. 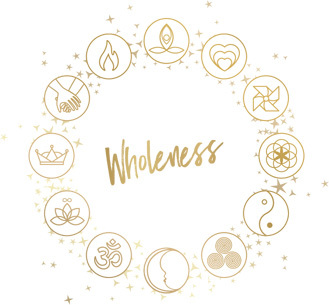 Know exactly how to start making your self-care and self-acceptance practices a first priority, resulting in feeling more in the flow with YOU and your life. Maybe for the first time in your life, enjoy being in your body, which means feeling an unshakeable sense of grounding within yourself and trusting your body. Start respecting yourself and your own boundaries; learning how to say NO and mean it, so you can say YES to the experiences you really want. Live more in sync with your own unique feminine rhythms, slowing down when it’s time to rest, and picking up speed when it’s time to create and plant seeds. Wake up in the morning feeling consistently more energetic, alive, and authentically you. The Yoga’licious 6 Month Group Program guides you through the foundational steps to free up and awaken your true self, get in sync with your natural rhythms, and reconnect to the sacred in you, so that you can create the life of your dreams. 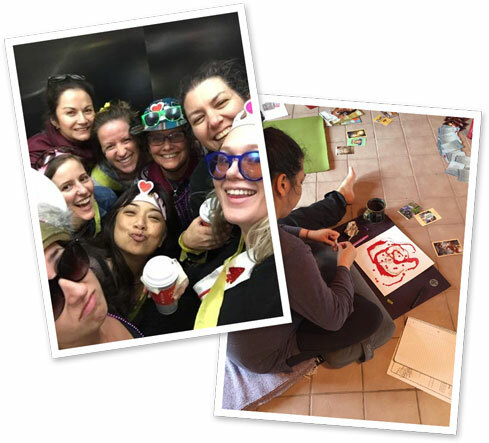 Complete with intimate group sessions, themed topics that relate directly to your transformation, immersive retreats, and a kick-off visioning session, this program is designed to bring you home to yourself within a community of other women who see you and get you: a place where you can truly be YOU. In a world with so much stimulus and chaos pulling you in different directions, it can be easy to forget who you really are. You need more than just a yoga class here and there; you need a space to fully immerse yourself in over time, allowing you to sink back into your rhythm and anchor into the essential teachings. 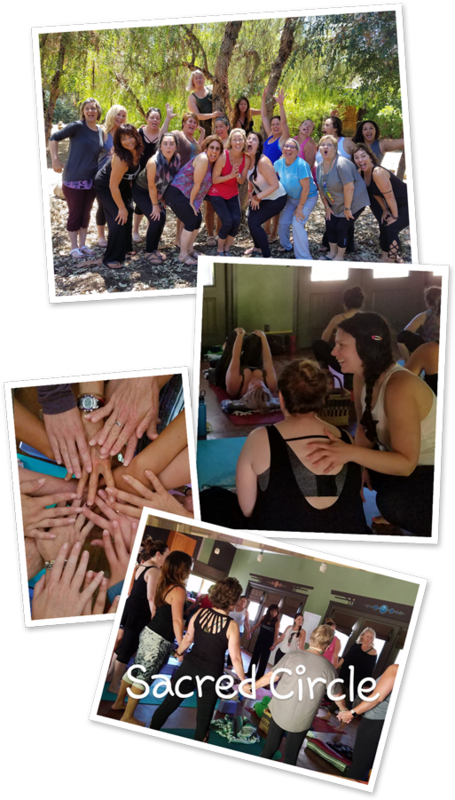 Whether you are completely new to yoga and self-exploration classes, or are a seasoned practitioner, this is exactly the space and sisterhood that will guide you there. If you’re sick and tired of trying to fit into a mold that never felt like a fit in the first place, this is the journey of self-discovery you’ve been waiting for. Good news is you don’t have to know the how; it’s just about taking the first step. Click on the ‘I’m interested in learning more!’ button, and let’s start by having a no-strings attached complimentary conversation to see what is possible for you if you were to take these powerful next steps. Next one begins November 10th. For more details and opportunity to connect on what’s possible, click here. The 6- or 12-month Private Program is a deeply supported journey through the core Yoga’licious Way principles and their integration and embodiment in your life. This is a unique opportunity for you to work one-on-one with me in a deeply held way, complete with private coaching and yoga sessions, priority email access to me, and support in your journey that will allow you to learn at a much more accelerated pace. It’s easy to get stuck in the cycle of never putting yourself first, or believing that “someday” things will settle down and you’ll finally have a chance to give yourself attention or do that thing you’ve been wanting to create. Let me support you in breaking that cycle and guide you in expanding into new possibilities for what it feels like to live in harmony with yourself, to see your body as your ally, and to express yourself fully. Each customized session will meet you and your body exactly where you are that day and give you the tools and inspiration to transform your life from the inside out. I only take a certain amount of private clients each year, so if you’re feeling a yes, click the ‘Let’s have a conversation’ button, and let’s start by having a no-strings attached complimentary conversation to see what is possible for you if you were to receive my support. The 12-month Group Program is a unique experience that builds on the foundation of the other programs, paving your path into mastery. 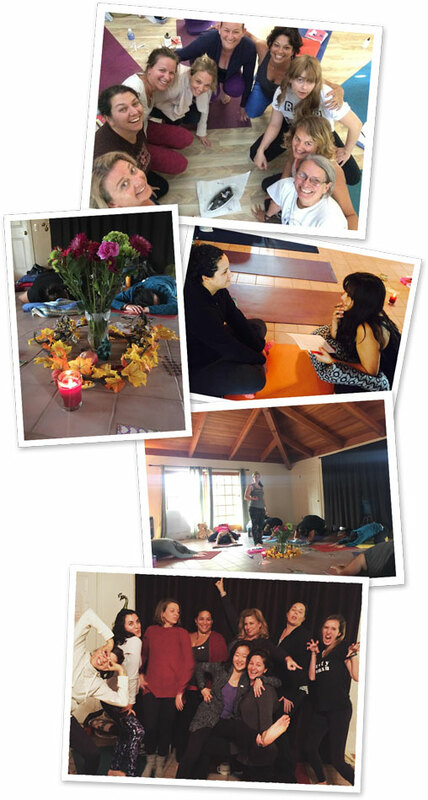 This extended group journey combines individualized private sessions with structured group sessions and retreats, and brings together a brilliant group of like-hearted women. The 12 month program is for you if you have already worked with me in some context, and are seeking the next level of mastery and support. 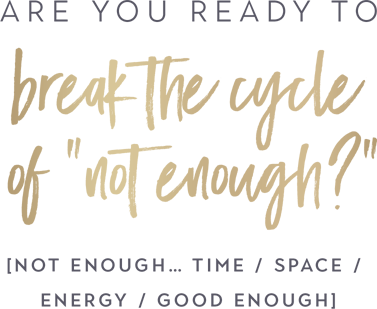 This is program is designed for the woman who has really nurtured her growth, has been on the journey with me for awhile, and is ready to bring all of what she has learned into greater mastery in her life. This program is by sacred invitation only. This years 2017 Yoga'licious Retreat has commenced, check back soon for next years dates/location! 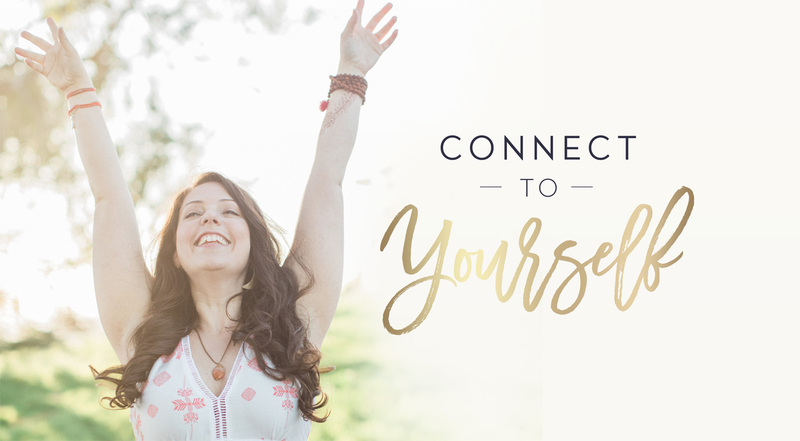 Imagine relaxing into an incredible combination of renewal, yoga, self-care, self-exploration, slowing down, self-love, and connecting to your body – all with a community of women who get it! The best way to shift out of the hamster wheel of doing and into flowing and connecting with your own essence is to step out of your day-to-day life. You need a sacred space away from everything else, an extended weekend to learn how to nourish and fill up your own cup first, so that you can better respond to your day-to-day responsibilities. Immersing yourself in an extended weekend designed for nourishing self-care has proven to be powerful for the women I have hosted through the years. Check back soon for 2018 dates and details.